Great small size businesses often get acquired by bigger market participants. This is a common practice in the world of gaming content production, and that is exactly what happened to Blueprint Gaming almost a decade ago. This relatively small entity which earned recognition mainly in UK and several other EU countries became was bought by Gauselmann Group. There are two licenses UK and Alderney allowing them to operate on different markets. It delivers games for internet and offline casinos. 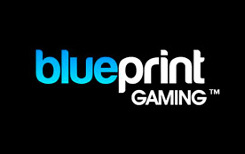 World most famous and respected gaming operators are in the list of Blueprint Gaming casinos as they appreciate that unique style of the supplier. To create interactive content based on themes familiar to almost everyone, the developer has purchased licenses that gave them the right to produce slots based on popular mobile games such as Plants vs Zombies, Zuma, Worms and others. That is a nice strategy considering that these games already have thousands of fans around the world. UK and Alderney licenses show that the company has no intentions to provide unfair games. Being regulated by these two highly respected gambling commissions isn’t cheap. It costs a lot of money and failing to meet requirements set by regulators would be a disaster. If you aren’t convinced of the content provider’s legitimacy, think of reliable Blueprint Gaming casinos which have excellent reputation. These operators get their software tested by independent auditors to make sure everything complies with laws and regulations. Usually best Blueprint Gaming casinos offer this software along with other games because this developer isn’t widely recognized. The company focuses on slot production, but also releases different types of casino entertainments. There aren’t a lot of mobile slots, but their number is always increasing. Android and iOS users will be able to load games from their handsets. Their slots range from feature packed titles with 4-5 bonus games to simple video slots without even most commonly used special symbols. But they all have one thing in common – sharp design and great gaming experience. Most commonly used features are: free spins, pick and click rounds and extra wilds. But keep in mind that generally the more lucrative features are, the less frequently you get paid. So, if you want to have regular payouts, choose simple video slots offering minimum or no bonus options. Ted video slot is one of their feature packed titles. It can be found at reliable Blueprint Gaming casinos. Ted is an amazing game offering six random modifiers and five bonus rounds. But the main attraction is the main character – cute bear with great sense of humor. One of slot bonus options is a round of 5 free spins. Those who got used to rounds consisting of 10-20 bonus spins might get disappointed, but actually they shouldn’t. There’s no sense of offering lots of free spins if players don’t have good chances of winning. With just several free spins in Ted slot you can get paid huge amount of money because of lucrative features which get activated during this mode. Usually slots require winning combinations to start from first reel. Very rarely games pay both ways meaning that first symbol can be whether on first or last reel. But it would be so nice to have slots which pay when symbols appear on adjacent reels allowing winning combinations to start from first, second or third reels. Gamers’ prayers have been heard. Pick from the list of Blueprint Gaming casinos and you can find video slots with this beautiful and very profitable characteristic. You won’t leave empty handed anymore when similar symbols land on three central reels. What is most interesting is that slots can have symbols which don’t pay anything. Load Super Spinner Bar X video slot. You might think that something is wrong when having five zeroes in a straight row doesn’t pay you a dime. But look at the paytable and you won’t see payouts awarded for this symbol. This is a small thing to note, but is so unusual that it’s worth mentioning. Autoplay feature is different from those usually offered. You can set a number of spins, loss limit and a single win limit which is great because spins will automatically stop when you don’t feel comfortable losing more or when you want to have some time to enjoy a big win.